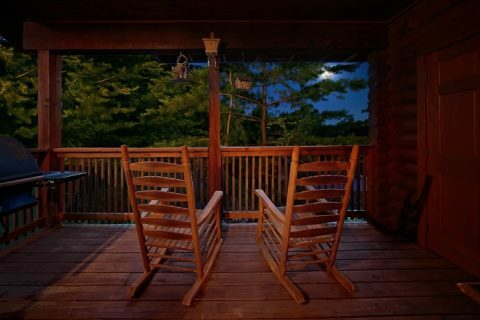 Come experience your Smoky Mountain vacation at "A Tennessee Twilight!" 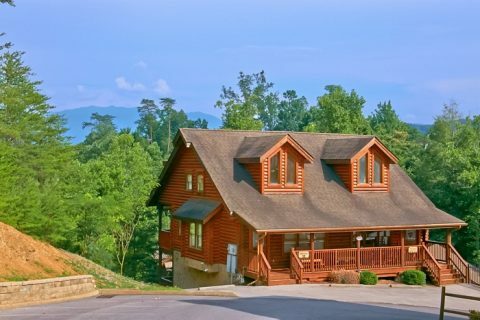 This uniquely decorated log cabin, formerly known as "The Pampered Bear," is located in the quiet Big Bear Resort in Pigeon Forge just minutes from Downtown Pigeon Forge! 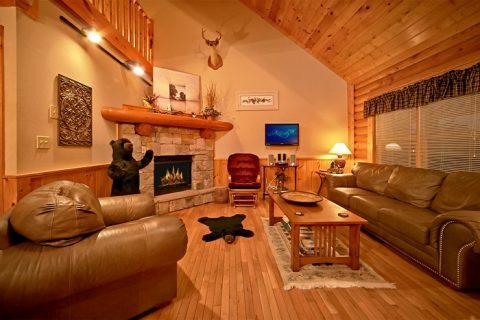 Enter into this Pigeon Forge cabin rental's cozy living area with sleeper sofa, flat screen TV, and a gas fireplace. Additionally, the main level's full kitchen gives the chef everything needed to craft culinary creations to serve in the cozy dining nook. 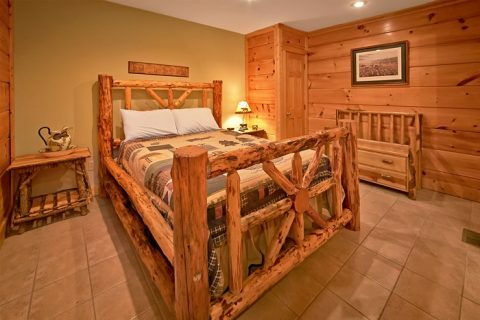 Upstairs, this Pigeon Forge cabin rental features a spacious master bedroom with a king bed and an oversized jacuzzi tub. 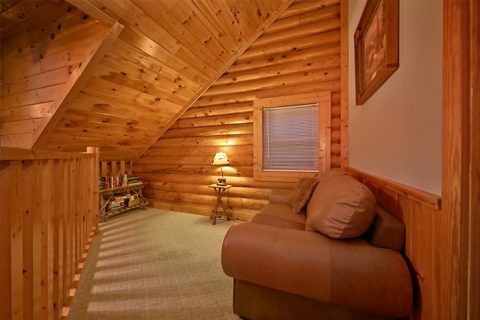 The lower level is accessible from a private entry and features plenty of amenities for guests to enjoy. From a queen bed to a queen sleeper sofa, a full bath with a jacuzzi to a kitchenette, the lower level allows visitors to enjoy a separate space that's almost like its own apartment! 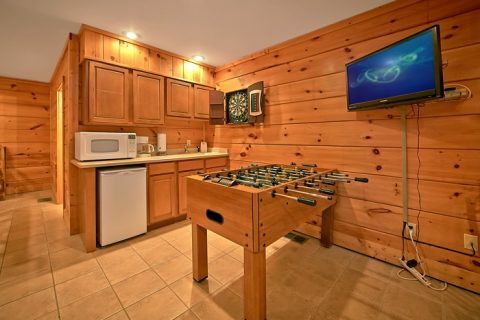 The game room in the lower level features an electronic dartboard and foosball table for plenty of entertainment in the cabin. 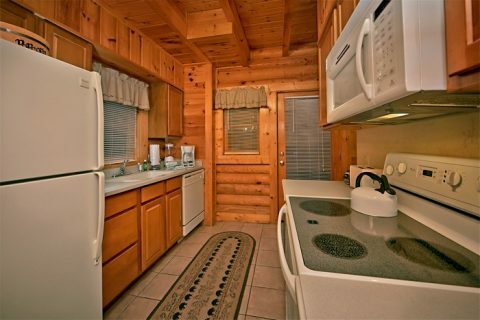 This Pigeon Forge cabin rental in Big Bear Resort offers plenty of opportunities to enjoy the great outdoors as well. 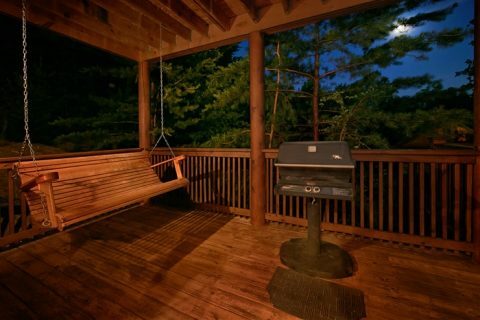 Host a cookout on the grill on the deck or just sit outside and enjoy the fresh mountain air. 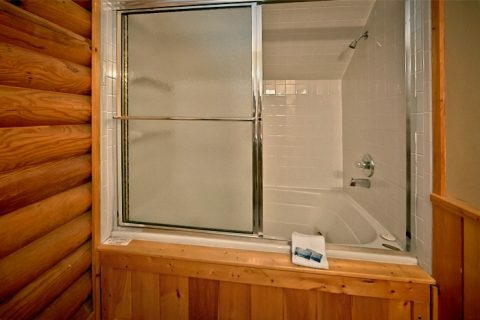 Your resort cabin's swimming pool is accessible in the warmer months, but this rental offers swimming year-round. With Big Bear's indoor pool facility, you and your family can enjoy a vacation with a swimming pool for every season! 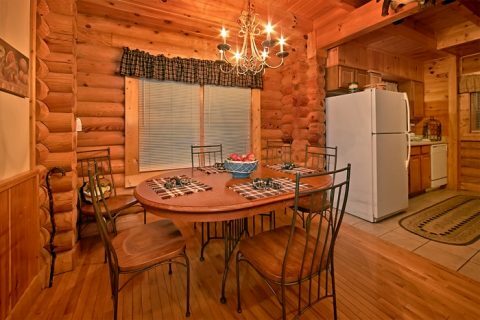 During the winter, you can enjoy the warmth of this cabin's gas fireplace. 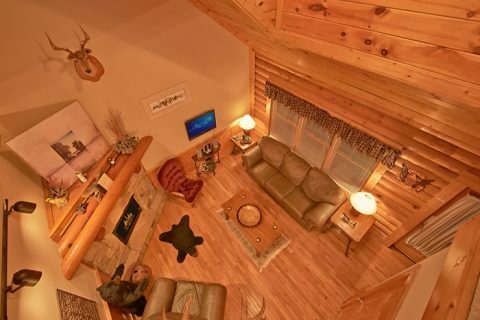 Not only does this cabin allow guests to enjoy a comfortable retreat only minutes away from the region's top attractions, but you can also save your vacation dollars by staying in such an affordable rental. Cabins USA's special online discount can help you keep your lodging costs low so you can enjoy more of what the Smoky Mountains can offer! 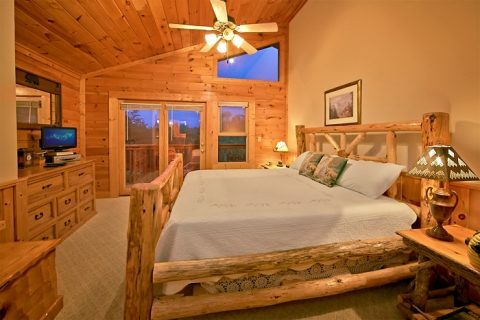 Book "A Tennessee Twilight" in Big Bear Resort for your Smoky Mountain vacation in a spectacular Pigeon Forge cabin rental!